Leading Palestinian figures including prominent human rights advocates Dr. Eyad Sarraj, and Raji Sourani have boycotted a meeting with UN Secretary General Ban Ki-moon in Gaza today over the latter’s refusal to meet with the families of Palestinian prisoners. Meanwhile Palestinians greeted Ban with shoes, beating them on his car as he went by. Highlighting the dire conditions faced by Palestinian prisoners, Amnesty International today issued an urgent action alert regarding Khader Adnan, who has been on hunger strike for 49 days continuously since he was detained by Israel on 17 December. He has been held since then without any charge or trial. This is not the first time Ban operates double standards towards Palestinians, in favor of Israel. Ban has previously given legitimacy to Israel’s blockade of Gaza, even though UN bodies have declared it illegal. The full letter and list of signatories is below. At this time, we were supposed to meet with the United National Secretary-General Ban Ki-Moon who is visiting Gaza today. We were also supposed to deliver to him an open letter expressing our demands and expectations from him as a Secretary-General of the United Nations. Over the past two days, we have made intensive efforts to ensure that representatives of families of Palestinian prisoners in Israeli jails would be part of the delegation that would meet with the Secretary-General. However, during the preparatory meeting we conducted, with the participation of representatives of families of Palestinian prisoners in Israeli jails, we received an unjustified negative response indicating that the Secretary-General refused to meet with representatives of families of prisoners. Therefore, we have regrettably decided to boycott the scheduled meeting with the Secretary-General. We express our strong dissatisfaction towards the Secretary-General’s position, especially as he repeatedly met with the family of the Israeli soldier Gilad Shalit. The suffering has not limits, and as the Secretary-General recognized the suffering the Shalit’s family, we expect him to demonstrate concern with the suffering of more than five thousand Palestinian prisoners in Israeli jails. We will present to you the open letter that we were supposed to deliver to the Secretary-General. We would like to take this opportunity, first of all, to thank you for returning to the Gaza Strip. It is essential that you see the reality of life in Gaza – and the reality of the longstanding illegal closure – first hand. It is equally essential that you meet the victims of human rights violations, those individuals who look to you for support and protection. In doing so, it is important to note that your previous visits to the Gaza Strip raised high hopes and expectations among the civilian population. To-date, even the most limited of hopes have not been met, generating feelings of frustration and isolation. As representatives of civil society and a variety of organizations and public figures dedicated to the promotion of human rights and the rule of law, we must take this opportunity to raise a number of issues occurring during your tenure as Secretary-General which have demonstrated a disregard for the fundamental principles of international law. It is with regret that we express the belief that, in the view of Palestinian civil society, these actions have brought shame upon the United Nations. The United Nations was founded on the desire to “save succeeding generations from the scourge of war”, to “reaffirm faith in human rights and the dignity and worth of the human person”, and “to establish conditions under which justice and respect for the obligations arising from treaties and other sources of international law can be maintained.” The UN is an Organization on which millions of individuals throughout the world – including the 1.7 million inhabitants of the Gaza Strip – depend, and which countless others trust to uphold international law and to protect human rights: to act in the best interests of individuals. The legitimacy of the UN is dependent on international law. Any action which is contrary to the purpose of the law undermines the legitimacy, the credibility and the effectiveness of the Organization as a whole. As Secretary-General you are popularly recognized as the ‘guardian of international law’. As such, it is your duty to uphold and promote the rule of law, and to act in the best interests of the individual. Article 100(2) of the UN Charter prohibits Member States from seeking to influence the Secretary-General. This article guarantees to weaker nations and peoples that they will be treated fairly and equally. If this provision is to have any true meaning, it is equally important that, in all circumstances, the Secretary-General treat weaker nations and peoples on the basis of fairness and equality, and not prioritize the interests of the more powerful states. The Secretary-General is required to be neutral and impartial; to act towards the furtherance of the UN Charter and the principles of international law on which it is based. We firmly believe that it is not the role of the Secretary-General to be ‘politically correct’, but rather to firmly ground all actions in international law – to uphold the principles and purposes of the United Nations, and the principle of universal, fundamental, human rights – no matter what the perceived political difficulties. Unfortunately, with respect to the Israel-Palestine conflict you have repeatedly acted, not to uphold international law and the best interests of victims, but in a manner which can only be described as subservient to the will of powerful States. For example, in response to serious allegations regarding the perpetration of widespread international crimes during Israel’s 27 December 2008 – 18 January 2009 offensive on the Gaza Strip (Operation Cast Lead) – as documented by numerous UN mandated bodies – you have failed to steadfastly pursue accountability, despite the fact that many of the attacks potentially amounting to international crimes were directed against UN installations, and resulted in the death or injury of UN staff members. In response to the UN Board of Inquiry’s recommendations, which called for investigation into incidents “involving death or injury to UNRWA personnel … and/or physical damage to UNRWA premises that were not included in the Board’s Terms of Reference” and for an investigation into the wider allegations of international humanitarian law violations throughout the course of Israel’s military offensive, you unambiguously stated that “I do not plan any further inquiry.” Such action is simply inconsistent with both the mandate of your office, and a respect for the clear requirements of international law. Your decision to accept compensation from the Israeli authorities, taken in conjunction with a refusal to pursue criminal accountability – despite the clear recommendations of numerous UN mandated bodies and international human rights organizations – also sends a dangerous message of indifference, both with respect to the lives and well-being of UN staff and the principles of international law. It sends the message that Israel is beyond the reach of accountability. It is noted that your predecessor, Mr. Kofi Anan, stated on the day after the entry into force of the Rome Statue of the International Criminal Court that: “[t]here must be no relenting in the fight against impunity.” This surely, must be a guiding principle of the United Nations. Similarly, the continued involvement of the Secretary-General in the Quartet not only involves a disregard for the requirements of international law, but also raises question regarding potential complicity in such violations. Indeed, it is our belief that the role of the Quartet has contributed to the ‘institutionalization’ of the closure of Gaza – inter alia, through acceptance of the so-called ‘easing’ – in effect legitimizing the collective punishment of 1.7 million civilians. In its current form this closure has now been in place for over four and a half years, and – as documented by numerous UN agencies – has resulted, inter alia, in the systematic violation of human rights, the de-development of the Gaza Strip, and the creation of a state of dependency. The closure is an unequivocal example of collective punishment – ‘economic warfare’ in the language of Israel’s Military Advocate General – and violates, amongst other provisions, Article 33 of the Fourth Geneva Convention. It is noted that, under the terms of the 2005 Agreement on Movement and Access, Israel agreed that the crossings “will operate continuously”. The Quartet’s acceptance of the institutionalization of the closure stands in conflict with the clear requirements of international law. The Secretary-General’s continued involvement in the Quartet under such a situation quite simply defies belief. The Quartet’s decision to impose economic sanctions on the Palestinian Authority in the wake of free and fair elections held in January 2006 amounted to a denial of the fundamental right to self-determination. These sanctions constituted the collective punishment of a population for nothing more than the legitimate expression of democracy. As you can see, the consequences for the human rights situation have been nothing short of disastrous. The UN should have no part in such activity. Recent developments in the UNRWA operations and presence in the Gaza Strip raise questions about the neutrality and potential political bias of the organization. The former UNRWA Commissioner-General, Karen Abu Zayd, and former UNRWA General Director, John Ging, had their main office in the Gaza Strip and established working contacts with the local government in order to provide the best humanitarian services possible. The current Commissioner-General, Filippo Grandi, however, moved his office to Jerusalem. Additionally, Mr. Grandi and the Acting Director of UNWRWA in Gaza, Christer Nordahl, have cut the existing ties with the government in Gaza. These two factors indicate a politicization of UNRWA’s role, and one which cannot assist in the fulfilment of their vital humanitarian mission. Finally, we would like to take this opportunity to highlight the situation of Gazan prisoners detained in Israel. For over 5 years these prisoners have been denied family visitation rights, as well as being subject to treatment which in many instances amounts to torture, or cruel, inhuman, or degrading treatment. It is imperative that you send the clear message that these prisoners are entitled to the equal protection of universal human rights, and that the world will advocate on their behalf. We note that these prisoners have been subject to illegal collective punishment, enacted in response to the detention of Corporal Gilad Shalit. It is essential that you meet with these prisoners’ representatives and family, just as you met with those of Corporal Shalit, underlining the universality of human rights. We remain committed to the principles of universal human rights, and the rule of law, and express our willingness to assist in any way possible in the pursuit of these goals. We truly hope that this visit to the Gaza gives you the necessary incentive to stand firm in the quest to uphold the rule of international law. The collective punishment that is Israel’s closure of the Gaza Strip is an unambiguous violation of international law, and a stain on the international community, and in particular the Quartet. It is time for change. Like other major media scoundrels, New York Times writers, op-ed commentators and editorials fail the test. They’re biased, shameless and irresponsible, especially on issues of war and peace. Times tradition dates from 1896 when Ochs-Sulzberger family members took control. Thereafter, it’s played the lead print role distorting, censoring, and suppressing truth and full disclosure. backing regime change in countries like Afghanistan, Iraq, Libya, Iran and Syria, mindless of international laws prohibiting it. The record of the “newspaper of record” produces misinformation masquerading as real news, information and opinion. Its slogan “All The News That’s Fit to Print” fails on truth and full disclosure. No evidence corroborates anti-Iran/Syria/Hezbollah/Hamas accusations. Ignored are sovereign country rights, international law, Lebanon’s legitimate Hezbollah-led government, and Hamas’ democratically elected Palestine one. Neither espouses terrorism. Nor do Iran and Syria. In contrast, Washington and Israel pose grave terror threats. Both are nuclear armed and dangerous. They threaten preemptive strikes against invented threats. Neither has real ones. Not according to Times-think. It stokes fear to promote conflict and regime change lawlessly. Numerous articles and opinion pieces promote Washington’s imperial agenda. In 2011, Libya was target one. Before that Afghanistan and Iraq. Now it’s Iran and Syria. Ignored were international law issues. Among others, the 1933 Montevideo Convention explicitly prohibits interfering in the internal affairs of other countries. So does the UN Charter. Nations doing so are criminally culpable. None are more guilty than Washington, Israel, and rogue NATO partners. In contrast, Iran and Syria threaten no one. Yet MacFarquhar blamed Russia for blocking Security Council actions. In fact, Moscow’s resolute against Washington replicating its Libya model. Various language revisions left considerable wiggle room for war. Russia’s determined to prevent it. Foreign Minister Sergei Lavrov said “Russia will not support anything that is imposed on Syria.” He firmly opposes anti-Assad resolutions. He called replicating “another Libya” disastrous. China’s view is similar. Both have Security Council veto power. Lavrov promised to use it. On January 18, Arab League Secretary-General General Nabil Elaraby suspended their mission. He said violence undermined it, dismissing the competence issue al-Dabi raised and reports about about Assad’s cooperation. He also ignored a “confidential account of the League’s mission.” Turtle Bay obtained it. It shows monitors lacked proper staff and equipment. As a result, their mission was undermined from inception. On January 30, Russia’s Deputy Foreign Minister Gennady Gatilov insisted that Security Council members are briefed on its findings. Washington and rogue allies dismissed them out of hand. They call Arab League efforts a failure, saying their report adds nothing new. He stressed no mission mandate for addressing a widening conflict, pitting heavily armed insurgents against Assad’s government. In Homs and Daraa, for example, opposition elements used “thermal bombs and anti-armor missiles” supplied by foreign governments. In other words, he saw nothing and lied. Media scoundrels regurgitated it. It’s standard practice, supporting lawless US imperialism against nonbelligerent countries. He, Assad, and most Syrians want peaceful resolution. Washington, rogue allies, and major media scoundrels promote war and regime change. Civilians, of course, always suffer most and have grievously since early 2011. Washington and complicit allies share blame. Assad’s unfairly condemned for their crimes. Don’t expect NYT writers, op-ed commentaries and editorials to explain. Truth and full disclosure’s not their long suit. Stephen Lendman lives in Chicago and can be reached at lendmanstephen@sbcglobal.net. Also visit his blog site. Martyrs are not numbers. It is essential for us and for supporters of the Palestinian cause to remember the stories behind the names and numbers. For this reason, we offering this space as a platform where your voices will be heard regarding the first martyr the village of Nabi Saleh has sacrificed. 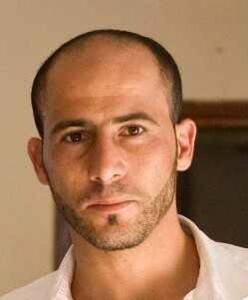 Write a message to Mustafa Tamimi’s family here. We will collect, translate, and print them all into a journal which we will then present to Mustafa’s family. Let us not forget Mustafa. On December 9th, 2011 a freedom fighter was ruthlessly murdered defending his village and the principles of freedom and justice which he fought and was previously imprisoned for by the Israeli occupation. Mustafa Tamimi, the 28 year old resident of the tiny village of Nabi Saleh, was shot by an Israeli soldier who opened the back door of the armored jeep and fired a tear gas canister directly to his face from a distance of 3 meters. Villagers, locals, and other familiar activists remember Mustafa as one of the first to greet them in the village, before the popular protests started. He was the oldest of four brothers and one sister, and was engaged to be married the next month. He had the initial of his fiance tattooed on his chest, and was preparing to build another story above his parents’ house to live with his future wife there, following the traditional norm. The Israeli army has never been held accountable to the murder of Palestinian civilians. It continues to act with impunity and demonstrates a complete disregard for Palestinian suffering. 10 days after Mustafa’s murder, three Israeli jeeps surrounded his parents’ house, and 25 soldiers got out with the pretense to check the license of the car outside, but with the intention to arrest Mustafa’s younger twin brothers. Mustafa’s father shouted at them that if any arrests were to take place it would be over his dead body. The soldiers left. Let us not forget also the army spraying skunk water, firing tear gas, arresting activists, and beating people up on the day of Mustafa’s funeral. Mustafa was killed on the 24th anniversary of the first Intifada, and the second anniversary of Nabi Saleh’s popular resistance protests, which started after settlers from the neighboring illegal settlement of Halamish- built upon the village’s land- further expropriated the main spring, al-Kaws. His murder only succeeded in strengthening the resolve of the Palestinians against occupation. Israel kills one, and a 100 rise up in his or her place. We ask you to show your support and love to Mustafa’s family by writing messages of solidarity addressed to them either through this link or to this email: lifeonbirzeitcampus@gmail.com. There are no guidelines to this, other than including your name and the city or country you are from. You post facebook updates from your phone, you post tweets, and you send texts. This information is being used to track social movements, predict crime, and build psychological profiles on individuals. Some phones are even being made that act as breathalyzers. Not only can the government monitor your cell phone, it can now seize control of it through mandatory chips installed in new phones. Most major cell phone providers have signed on to the government program. Terror alerts, Amber alerts, public safety and presidential messages can now be sent to your phone. “Users can opt out of any of the alerts except the presidential messages,” notes the New York Times. An unannounced test of this system caused panic in New Jersey in December of 2011 when Verizon customers received an alert warning of a civil emergency. The BBC Trust has announced that it is satisfied with the decision to censor the word Palestine from a freestyle performance by the rapper Mic Righteous. The production team made the decision to put a sound effect, of glass smashing, over the word Palestine. You can listen to the whole performance here, or the offending section here. that BBC Radio 1Xtra and the BBC as a whole had a duty to be impartial. In this instance, the production team felt that Mic Righteous was expressing a political viewpoint which, if it had been aired in isolation, would have compromised impartiality. The audience expects artists, writers and entertainers to have scope for individual expression in drama, entertainment and culture. The BBC is committed to offering it. Where this covers matters of public policy, political or industrial controversy, or other “controversial subjects”, services should normally aim to reflect a broad range of the available perspectives over time. Interestingly, the BBC apparently considers “scream Free Palestine” to be more of a controversial statement than “burn a fed”. The Trust has now released its adjudication of the matter, but in so doing has dodged the question. The Committee agreed that it is for the Executive to decide what to include and what not to include in a broadcast, provided the result does not lead to a breach of the BBC’s Editorial Guidelines. The Committee agreed that its duty was to assess whether the material as broadcast was likely to have been in breach of the BBC’s Editorial Guidelines, in this case those relating to impartiality. In other words, in response to complaints that the BBC was unfairly censoring an artist, the Trust has instead examined whether the finished program breached impartiality guidelines. Given the potential breach was never aired, the result of assessment was a foregone conclusion. “The BBC Trust has moved the goalposts and decided to look at the censored content that was broadcast in February and April 2011. The BBC needs to answer the real question; not whether the finished show was impartial, but whether it is acceptable policy to censor the word Palestine. It would be nice if the U.S. kept its word when it signs those international agreements that are in some kind of accord with rights and advance the international maintenance of rights. The U.S. has not done this with Iran. This is a pragmatically wise policy. Moreover, it is in the direction of respecting the rights of Iranians and also those non-Iranians who have dealings with Iranians. Overall, it is an agreement that settled a potentially explosive situation. It moved toward peace. It’s too bad that the U.S. didn’t continue the motion toward peace. The U.S. had other ideas. The U.S. didn’t want to make peace between it and Iran a policy. It wanted to un-do the Iranian Revolution. The U.S. did not follow up the Algiers Accords with further moves toward peace. The U.S. didn’t keep the bargain. It sided with Iraq after Iraq invaded Iran in 1980. It imposed sanctions in 1984, 1987 and in the 1990s. A review of sanctions is here. The U.S. tried to destabilize the Iranian government, isolate it and keep it out of the World Trade organization. See here. Economic sanctions enacted by Congress are politically-caused interference. The Senate Banking Committee is about to enact more of these sanctions. Their open aim is “to force Iran to abandon its nuclear ambitions”. This is political interference. This violates the Algiers Accords. There is a rather long list of measures that the Committee says is “designed to increase pressure on Iran’s government.” The political interference of these sanctions is evident from the latter statement. In addition, the Senate measure directly targets the IRGC (Iran Revolutionary Guard Corps). This is a branch of Iran’s military, with obvious political importance. Meanwhile, the U.S. is acting hypocritically as explained here by supporting the Accords’ provisions against lawsuits brought by the hostages. It is not hard to understand why economic sanctions might hurt a country’s economy or hurt companies that deal with a sanctioned country but still not cause the leaders of that country’s state to alter a targeted policy or policies. One reason is that the leaders of a state are only indirectly affected by sanctions. They stand in a rather insulated and remote relation to political pressures from below that arise from sanctions. Any country has many political currents of which sanctions are only one. Another is that people in the country may rally around their government. A third reason is that sanctioned countries find ways around the sanctions, using other markets or trades. U.S. sanctions are said by the Senate Banking Committee to have slowed Iran’s nuclear program, a program that is allowable and legal under the nuclear Non-Proliferation Treaty (another accord that the U.S. has not lived up to), but where is the evidence that this is the case? How could the senators know this when that program has been interfered with by computer viruses introduced from without and from assassinations of nuclear scientists? And even if Iran’s peaceful nuclear program has been slowed by sanctions, what does that mean when we consider the objectives of the U.S. government? If Iran appears still to be achieving its objective but on a slower time frame, does that mean that the U.S. or Israel will ratchet up their actions and start a war to force Iran to stop what sanctions have failed to stop? In other words, once the U.S. has set forth on a path to interfere with Iran politically, if only by sanctions and then stiffer sanctions, it appears to have committed itself to continue on that path, even if the eventual outcome is outright war. That was the outcome in Iraq and Libya. Even forgetting sanctions, Israel is a loose cannon unless restrained by the U.S., or so it appears to us who are not privy to the secret communications between these two governments. The situation is dangerous and getting more dangerous. Stop the sanctions against Iran. Sit on Israel. Shift onto the road to peace. Get off the road to war. The head of Syria Arab observer delegation voiced satisfaction with the monitors’ effort on Thursday, stressing there was a campaign against the mission. “I swear by God, I am fully satisfied with myself and with all those on the mission in Syria,” Sudanese General Mohammed Ahmed Mustafa al-Dabi told reporters on a brief return to his homeland. “There is a campaign against the mission and against the head of the mission and there are some allegations against it, but all of this is untrue,” Dabi said, adding critics did not understand the observers’ role. On Saturday, the Arab League said it was suspending its mission because of an “upsurge in violence”. Earlier last week the six Gulf Arab states announced they would withdraw their observers because “the bloodshed and killings there continue (and after) the Syrian regime did not comply with implementing the Arab League decisions.” Dabi called it “war” and said he had seen “some evidence of torture”. He declined comment on talks at the United Nations, which moved closer to agreement on action to halt the regime’s crackdown. BETHLEHEM – A group of European Parliamentarians on Wednesday called on Israel to release 26 imprisoned Palestinian lawmakers, official news agency Wafa reported. The group, composed of 26 members of the European Parliament, urged “the EU and its Member States to take immediate action” to release all imprisoned members of the Palestinian Legislative Council, a letter said. “A strong and determined demand by the international community to free all Palestinian parliamentarians is long overdue and must become a priority,” the group said. The EU lawmakers condemned the recent arrest of Palestinian parliamentary speaker Aziz Dweik, who was seized by Israeli forces at a Ramallah checkpoint on Jan. 19. They also criticized the arrest of Palestinian MP Mohammad Tawtah and former Jerusalem affairs’ minister Khalid Abu Arafa, who were detained on January 23. during a raid on the Jerusalem headquarters of the International Red Cross. “The most recent arrests aim clearly at undermining the prospect of Palestinian reconciliation and preventing the resumption of parliamentary life. They also jeopardize peace efforts,” said the letter written by EU parliamentarians.